Sorry, this job expired on Dec 10, 2017. Below are other jobs that may be of interest to you. One of the newest spots to open in Wicker Park this year, Rhyme or Reason, is looking for the best & brightest servers to join our team. We are a '70s inspired American eclectic restaurant & music venue focused on bringing locals top quality service, delicious food & having live music performances on a weekly basis. Rhyme or Reason is the first venue of the newest restaurant group, Offbeat Hospitality. We are looking to add to the team to gear up from the busy winter season!! We are looking for energetic, intelligent and passionate people who can deliver top quality hospitality to our customers. 1 year industry experience is strongly preferred. 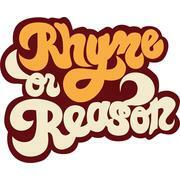 Rhyme or Reason is a mature 70's inspired gastropub and music venue with a modern twist in Chicago, IL.